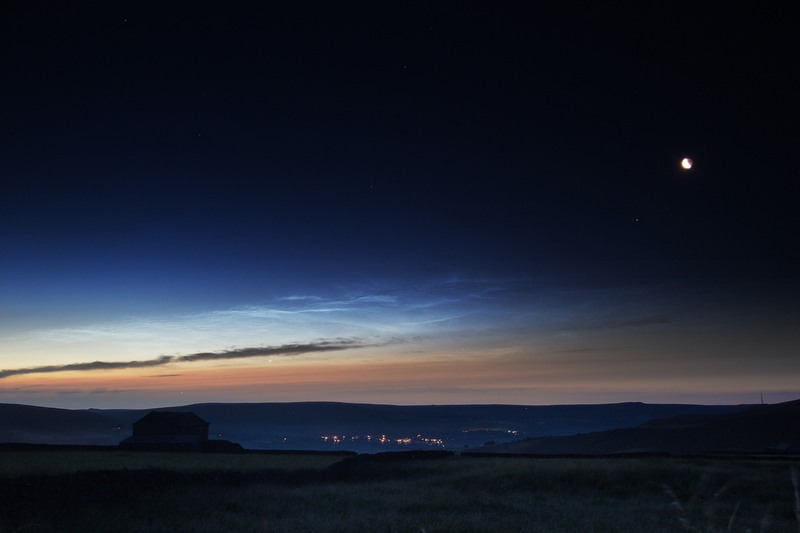 Chris Newsome took this picture of noctilucent clouds from Bradwell Moor in the Peak District at around 3:30 am on the 22nd July 2014. The view looks towards the Hope Valley and Hathersage. The moon is visible to the right of the picture with Aldebaran to the lower left of it. Venus and Mercury are in the shot as well! Mercury is immediately above the building in the left half of the picture with Venus to the upper right of that building as well, and both seen through the clouds. 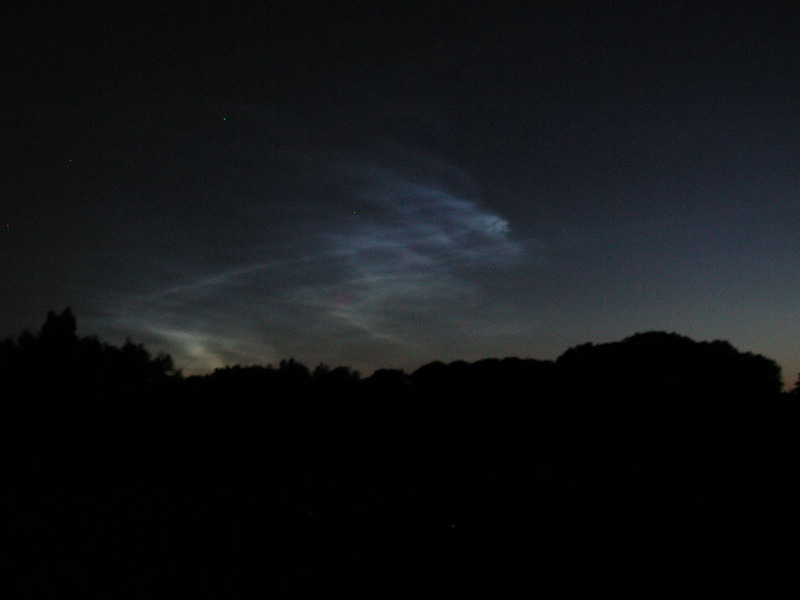 Capella is visible above the noctilucent clouds in the middle of the picture. Chris used a Canon 20D camera with a 17-85mm lens. Two photos were combined - one of 50s for the foreground followed immediately by one of 5s for the noctilucent clouds. Final processing was done in CS6. The following two pictures were taken by Barry Ashforth from Derby on the 18th June 2009. 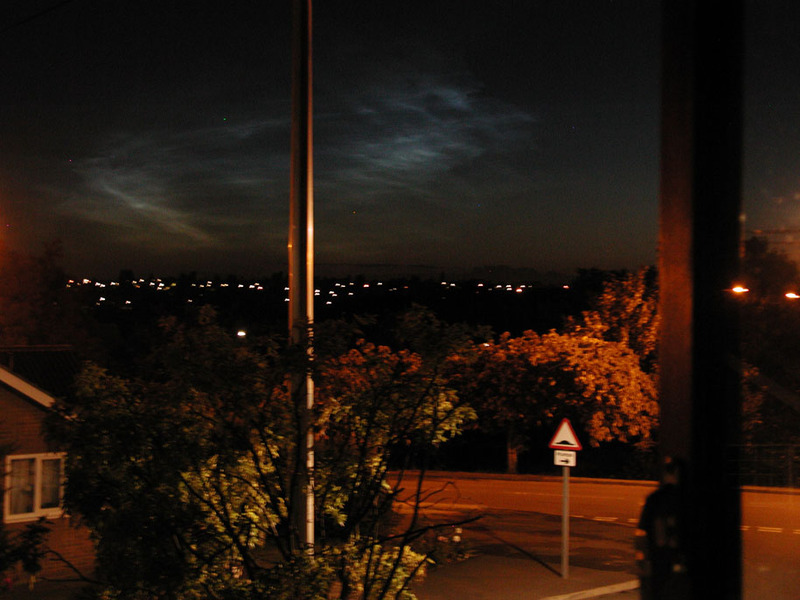 The first was taken from Barry's bedroom window at 00:38 UT and the second from Chaddesden Park at 00:56. Barry used an Olympus c3000 camera at f/2.8, ISO 400 and a 1 second exposure. 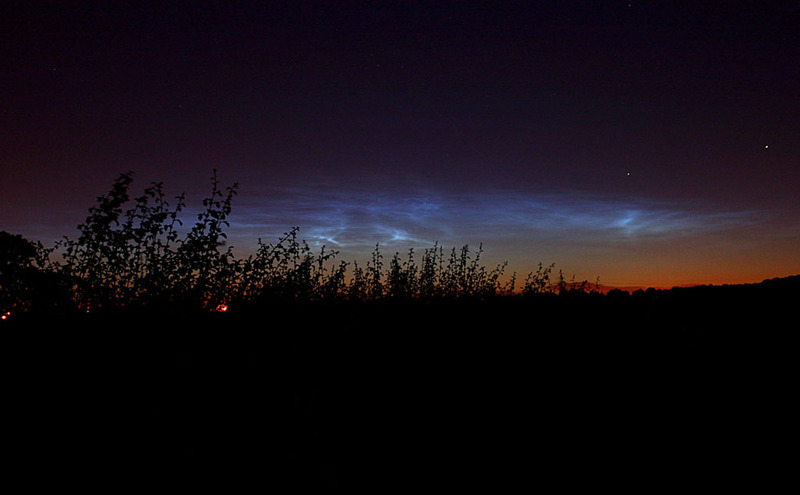 Chris Newsome captured this lovely display of noctilucent clouds low down in the northern sky on the 30th June 2008. Chris used a Canon 400D camera at 100 ASA, with a 30 second exposure and 35 mm lens.